This White & Case Alumni Newsletter includes alumni events in Germany, Hong Kong, London, New York, São Paulo, Tokyo and Washington, DC. Below are highlights from recent alumni events in Germany, Hong Kong, London, New York, São Paulo, Tokyo and Washington, DC. We hope to see you at an alumni event in the near future! Alumnus Rohit Pothukuchi (New York, 2014-2015), founder of Standard Indian Legal Citation (SILC), has been named to Forbes' 30 Under 30 – Asia – Media, Marketing and Advertising list for his work. Read more online by following this link. SILC is an India-centric citation system developed to provide the Indian legal community with a single citation methodology taking into account India's rich legal history and traditions. "It was like being part of an Olympic training squad—a real test of endurance with a goal at the end." Alumnus Scott Birnbaum put in a solid shift with White & Case for just over two years from November 2009 to January 2012 and, in speaking from experience, tells it as it is. Now working as the founder of investment fund Red Sea Ventures, Scott adds, of his time working for the Firm in Project Finance and M&A: "There were some grueling 48-hour sessions and a lot of work on weekends. But it was worth every minute. I learned so much, not just about law, but the business world too." Scott joined the Firm in November 2009, after he was a summer associate in 2008. As an associate, Scott worked under the tutelage of New York partners Jason Webber, John Reiss and Mike Smith. "They were my mentors," says Scott. "I'm very grateful to them. The same goes for Clark Wohlferd. I was fortunate to work with people who are still friends to this day." Scott's generosity about his former colleagues is indicative of the man. Bright and talented are adjectives that describe him well, but so too is selfless: witness his Young Peace Maker Award, an honor bestowed by Seeds of Peace in 2013. "Seeds of Peace is a non-profit organization that helps teenagers from regions of conflict learn peace-making skills," explains Scott, 38, who, having been involved with the charity for more than a decade, now sits on its board. "I was thrilled to be recognized for my contribution." Selfless, yes, and energetic too, for at just 38 Scott has already been involved in a variety of enterprises. 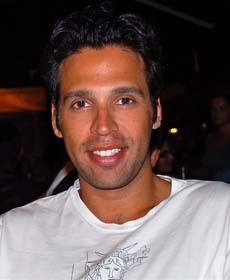 Raised in Paris, he graduated from Georgetown University in 2000 with a BA in Government and Theology. He jumped straight into the commercial arena, co-founding Epok in 2001, a software platform for cross-network collaboration between intelligence and law enforcement agencies. Then came the law, with Scott graduating from Fordham University School of Law in 2009. "I saw law as an intellectual challenge," says Scott, who is keen on tennis, photography and keeping fit outside the office. His two-year old daughter, with his wife Sabrina, also keeps him busy, but, initially at least, Scott wasn't sure about the law: "I didn't think I'd practice it, but was convinced when I met with law firms on campus at recruitment fairs," he says. "White & Case appealed the most, because the Firm has such a large international footprint." Always drawn to business, Scott left in 2012 to work for CBS Local as Director of Strategic Initiatives and Partnerships before setting up Red Sea Ventures in August of 2013. The business specializes in seed funding for early-stage technology-enabled companies that have the potential, as Scott puts it, "to change society for the better. We go for mission-driven and value- positive companies." Already there have been success stories—Scott cites Elite Daily, Nest and Sweetgreen as three in particular that his business has helped with investment, and more are surely on the way— but why the name? "So many disparate countries have their shores on the Red Sea," explains Scott. "It's a shared resource, and a shared means of connection. I like the idea of our investment fund being similar." What is Scott's best memory of the Firm? Without hesitation, he says: "The work was interesting, but the people were fantastic. They were the highlight. 2016 and 2017 have been noteworthy years for diversity and inclusion initiatives at the Firm. 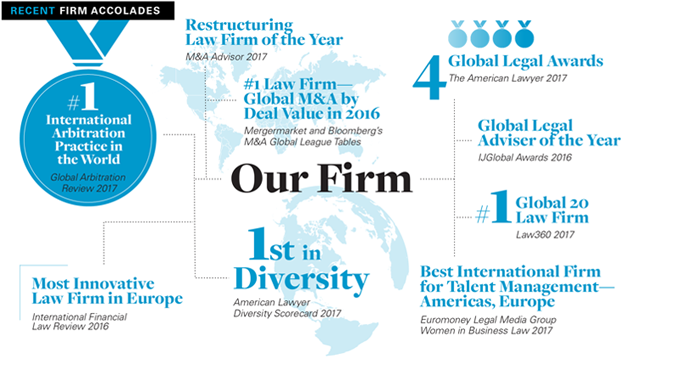 White & Case was named the most diverse firm in the United States by both The American Lawyer's 2017 Diversity Scorecard (for a fourth consecutive year) and on Law360's 2016 Diversity Snapshot. The Firm was also honored with diversity awards in 2016 from the National Asian Pacific American Bar Association and the Asian Pacific American Bar Association of Silicon Valley. During our US Diversity Week in 2016 we introduced a Diversity Fellowship for first-year law students, and closed the year with a number of accolades recognizing the Firm's deep commitment to sustaining a diverse and inclusive culture. Fellows participated in our US Summer Program as part of the Americas Disputes and Competition Regional Sections business plans on diversity initiatives, also spending part of their internship with us at several clients. In 2017, we are excited to have launched global inclusive leadership education and unconscious bias awareness training programs with a team of actors portraying typical law firm work interactions. Recognizing engagement is a core pillar of our 2020 strategy and that the Firm's success is driven by our culture and our people, we are examining the workplace values that allow team members of broadly diverse backgrounds to fully contribute and drive innovative results, and what sometimes gets in the way of living those values—the gap between the intent and impact of our actions. We expanded on the 1L Diversity Fellows program by hosting four fellows in four different US offices as part of our US Summer Program. Later this year, we look forward to hosting a screening in our New York office of the Academy Award-nominated documentary "13th" with award-winning producer Angus Wall. This September 11 – 15, we look forward to welcoming Sir Lenny Henry, CBE as one of our guest speakers for the fifth anniversary of London Diversity Week. In one of the largest-ever inbound M&A deals involving the Gulf region, we advised United Arab Shipping Company Limited (UASC) and its major shareholders Qatar Investment Authority (QIA) and the Public Investment Fund of Saudi Arabia (PIF) on UASC's merger with Hapag-Lloyd AG, a listed company headquartered in Hamburg, Germany. The merger creates the world's fifth biggest liner shipping company. The transaction was completed on May 24, 2017 after intensive negotiations with financing and refinancing lenders and after obtaining antitrust and foreign investment approvals. The combined company, Hapag-Lloyd AG, has a fleet of 230 vessels and a shared fleet capacity of approximately 1.6 million TEU. It remains a listed company in Germany. As a result of the transaction, QIA and PIF have become substantial investors in Hapag-Lloyd AG, holding approximately 14.4 percent and 10.1 percent shareholdings respectively. The merger required seamless cooperation between our New York, London, Tokyo, Seoul and Dubai offices. We advised Crédit Agricole Corporate & Investment Bank (CACIB) on the completion of the issuance of the Premium Green PLC Series 2017-2 Balance Sheet Notes due 2029 pursuant to the PREMIUM Multi Issuer Asset- Backed Medium Term Note Programme. The transaction is a landmark US$3 billion synthetic securitization of project finance, asset finance and infrastructure loans, a first-of-its-kind ‘Green Capital Note' that blends best practice from capital management and the objectives of socially responsible investing. The synthetic portfolio includes approximately 200 obligors and is distributed across CACIB's franchise in the power, oil & gas, real estate, infrastructure, aviation, shipping and rail sectors. Socially responsible features of the investment include CACIB's commitment to redeploy the freed-up regulatory capital in US$2 billion of new lending in several green sectors that includes projects in renewable energy, energy efficiency, and water and waste management. By releasing the capital from the existing loan book and dedicating the available capacity to supporting lending in green sectors, the parties aim to advance the United Nations Sustainable Development Goals. We represented Deutsche Bank, as sole global coordinator and left lead bookrunner, for US$1.2 billion dual-tranche senior secured notes, and Bank of China Ltd., Macau Branch, as lender and agent, on an HK$234 million super-senior revolving credit financing, and on the collateral and intercreditor arrangements, in the refinancing of Studio City Company's existing indebtedness. At closing, the transaction was North Asia's largest-ever high yield corporate bond issuance, and is one of the first transactions in the Asian market comprising a pari passu bank/bond platform with super-senior credit facilities for a corporate. Created in 1959, The Philip C. Jessup International Law Moot Court Competition is the world's largest moot court competition, with more than 2,000 law students from nearly 90 countries participating annually. The Firm is a Global Partner of the Jessup, and nearly 600 participating teams compete each year to bring home the White & Case Jessup Cup. Two universities are tied for winning the most world championships, the National University of Singapore and the University of Sydney, each winning the coveted title four times. Below is a list of new partners since the last issue of our Global Alumni Newsletter. In partnership with Mergermarket, the Firm has developed and debuted the new M&A Explorer facility, an interactive tool that empowers users to create custom charts based on Mergermarket's rich database of recorded global M&A activity. Through M&A Explorer, Firm partners and staff can generate custom "market snapshots," charts based on data filtered by time, geography and sector. More than 10 years of Mergermarket records are available through M&A Explorer. Users can sign up to receive alerts when new data is available at the start of each quarter. M&A Explorer also features a companion flow of Firm insight and market commentary. In just the few months since M&A Explorer's rollout, users have read about the record number of M&A deals in Japan, projections for M&A in the UK post-Brexit, and much more. The latest article explores 2016's record M&A activity in Taiwan. Nearly 10 years of double-digit annual growth propelled China to a record US$140 billion in global acquisitions last year, almost doubling the nation's record from just the year before. Although Chinese M&A is in no danger of losing its new prominence, a range of pressures, both economic and political, may be conspiring to stem the tide. Chinese investors face such challenges as tighter controls on outbound capital flows, dangerously high levels of corporate debt and greater overseas scrutiny of Chinese investment. Our report "China's rise in global M&A: Here to stay" reviews China's emergence as the world's second-largest M&A investor, explores the short- and medium-term challenges Chinese outbound investors face and takes a long-term view of the future of Chinese outbound by calculating potential M&A flows under multiple scenarios. According to PwC's Women in Work Index 2017, women on average still earn 16 percent less than men. Motivated variously by a commitment to social justice, compliance requirements, a need to attract and retain women or a desire for reputational enhancement, companies trying to bridge the gender pay gap within their own operations run up against a series of roadblocks. Chief among these roadblocks are inconsistent and sometimes conflicting regulations and reporting requirements, especially across borders. Companies struggle with the lack of a standard international approach to pay gap reporting; variation in how pay data must be collected, reported and published; and how to avoid penalties for failing to comply with sometimes vague and misleading requirements. Our article "Closing the gender pay gap" explores the tangle of gender pay reporting requirements and offers insight into how to comply—and on how to bridge the gap itself. To unlock the full value of artificial intelligence (AI), companies must acquire access to large data sets, apply abundant data-processing power and develop the skills to interpret results strategically. Financial services institutions eyeing AI are starting from a position of comparative advantage. They already have large data sets and decades of experience using analytical tools, building models and employing large teams of software developers. But commercializing AI requires navigating a number of risks, including those related to the intrusion of unintentional bias, potential antitrust issues and cracks in cybersecurity. Our report "Three big questions about AI in financial services" counts down the three deepest pitfalls for financial services companies embarking on a new AI journey—or taking the old one to the next level. The report shows how smart design and vigilant oversight can empower these companies to take full advantage of today's and tomorrow's AI without unduly exposing their operations to unseen liabilities. White & Case's 2016 Annual Review and Social Responsibility Review are available online. Our Annual Review provides our lawyers' insights on the important issues facing businesses globally, an overview of the Firm's new strategy, descriptions of work we did for clients worldwide, and major Firm events and milestones in 2016. Our Social Responsibility Review highlights our pro bono work, community involvement and environmental sustainability efforts. You can access the reviews online at whitecase.com/annual and whitecase.com/social. Delivering newspapers at 5:30 a.m. each morning to homes in my neighborhood. It was also my briefest job; I lasted about one month. An interest in international economic development, which I acquired in college after a semester in India, working with a Jesuit-sponsored organization providing assistance to leprosy victims. White & Case was one of the few firms at the time with an active practice in "developing world" countries. I have served as the Executive Partner of the Washington, DC office, as Regional Head for the Firm's Americas EIPAF section and am a partner in the Firm's Project Finance team. I also sit on the Global Alumni Committee. I come from a wonderful, and wonderfully large, family—I have four brothers and five sisters. What's your favorite thing to do in Washington? Jog or bike on the old Chesapeake and Ohio Canal tow path, which starts in Georgetown and winds northwest through a beautiful, heavily wooded area that runs along the Potomac River. It's a beautiful place, with views that change dramatically with each change of the seasons. We have published the history of the Firm, White & Case: The First 100 Years & Beyond, and celebrated the book's arrival by holding book launches in all of our offices worldwide. The first of these was held in our New York office on May 1, the 116th birthday of the Firm. White & Case has an illustrious history, and the history book describes significant Firm milestones, including opening our offices outside New York, and the global successes resulting from our shared values of teamwork, collaboration, innovation and exceptional client service. Former Chairman Duane Wall and an internal team created the book over many years of dedication and hard work. The book also tells stories of the Firm's culture, set by our founders, DuPratt White and George Case, who took an interest in the careers of those who worked for them. One story is Joe Bennett's. He joined the Firm in 1902 at age 16 as an "office boy," earning US$3 a week. With DuPratt White's encouragement, Joe attended New York Law School at night, and became a partner in 1917. That story typifies the ambition and belief that have made our Firm so successful. You can read this, and many other stories, in the digital version of the book, which is available here. Our history has shaped who we are today, and you, as our alumni, have played an important role in our continued success. Thank you for playing a part in our story, and please take a look at the digital version of the book. At a clinic held in our New York office on Monday, August 31, dozens of lawyers and alumni of the Firm received training in naturalization processes from Legal Services NYC (LSNYC) and then met with individuals to discuss their naturalization eligibility requirements. LSNYC will use the information from these meetings to assist eligible persons with a pro bono lawyer who can help them file a naturalization application. LSNYC regularly holds naturalization clinics and estimates that nearly nine million people in the United States are eligible to naturalize as citizens. Doing so provides them with the right to vote and key government benefits. Adam J. Heintz, Director of Pro Bono Services for LSNYC, stated: "Through these clinics, we aim to meet the needs of all of our clients. The response from the larger pro bono community has been extraordinary. Thanks to our many volunteer firms and attorneys, we are on pace to meet with about a thousand clients this year, all of whom would be turned away without pro bono services." Since our last Alumni Newsletter, we expanded our global presence to six continents (all but Antarctica) and opened three new offices, bringing our worldwide total to 41 offices in 29 countries. We now have more than 40 lawyers in Australia, including four partners and eight senior lawyers. Click here to download Alumni Newsletter, Fall 2017.